How Did the Church Become the Body of Christ? (Ver 3.2) I will notify you up front, that this lesson may be very different than anything that you are expecting to read or even a departure from what you may have heard taught before on this subject. Therefore, it may be controversial because it is based upon many hidden Bible concepts which are only being opened and revealed by the Holy Spirit now on the subject of Covenants and Marriage. I believe that if you read the entire lesson very closely using an open mind and your spiritual eyesight to see what is written that you will begin to understand there is much more to it than you first realized. There has been a theological controversy within the church for many years. Some believe that the church is only the bride of Christ while others believe the church is only the body of Christ. There are also some that believe the church is both and even others that believe we are neither. But, which belief is the actual truth? After significant Bible study on this subject with the assistance and guidance of the Holy Spirit I believe that the church is both the bide and the body simultaneously. But, how can a body of believers be both the “body of Christ” and the “bride of Christ” at the exact same time? Have you ever heard a Bible preacher or teacher explain how being both is even possible? I know I haven’t. What I have heard some teach is that we are one but not both and they explain away any verses that conflict with their chosen belief selection. Any conflicting scriptures that do not align with their beliefs are either ignored or must be explained away. That is my controversial subject that we will be focused on today, believe it or not. This lesson will teach us how both potentially conflicting beliefs can be viewed as a sound Biblical truth simultaneously. The human body is an amazingly complex designed creation of God. It is comprised of millions, billions and even trillions of individual separate cells that work together in united ways to be one body. This very complex body reality came from just the union of two separate individual cells. Simply from the natural union of one male sperm cell entering into one female egg cell a multi-trillion cell being results. These two cells combined will cause all of the other cells to grow and develop into this amazingly complex unified carbon based unit called the human body. I believe that this is a basic parallel principle of truth that teaches us a little bit about how the church can be both a separate entity called the bride and by Christ entering into us (our spirit living and alive within our physical body) we can simultaneously be called His body. We will be reviewing scriptures that help to build this foundation of truth later in this lesson. If the millions of people on the earth who call themselves Christians are one unified spiritual body of Christ, could it be that we were originated from the union of two spiritual cells that were joined to create this new body of Christ? I believe that the 2 cell combined union natural process of creating a new body is a potential natural pattern for how spiritual things work in the spiritual realm. Did you know that the Bible in Romans 1:20 teaches us that the natural things created by God reveal to us many of the hidden spiritual things of God? There are also other potential things about male and female unions that must be understood in order to know how the church can be both Christ’s spiritual body and His spiritual bride simultaneously. These are the spiritual concepts that we will be discussing today. Are you ready to receive something new from the LORD? 1 Corinthians 12:27 Now we are the body of Christ, and members in particular. If you have ever read the New Testament, you have probably noticed that the church is described in numerous places to be called the “body of Christ”. That is an absolutely fascinating factual piece of spiritual information that I would say the majority of Christians accept blindly without attempting to figure out how we became His body. But, I believe us accepting truth blindly without asking questions of how this happened is a potential pitfall for deception. I remember reading in Luke when the angel appeared to Mary and told her she was highly favored and would have a son. But, the wise woman Mary asked “How will this be seeing I know not a man?” That is really a great question and she was not rebuked for asking it. I believe that this question of Mary was a very similar question to what I asked the LORD about us being the body of Christ. It is very hard to ignore the scriptures that communicate the “body of Christ” truth to us. You can find many references and I will just point us to some of them. 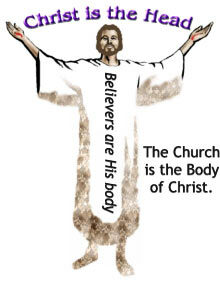 The church is called the body of Christ in Colossians 1:18, Ephesians 4:15-16, 1 Corinthians 12:20, and Romans 12:5. These are a few of the obvious ones, but I believe there are others. Are you curious yet to what God says in His Word about how we became His body? What I have discovered in the past is that while there are many Christians that embrace this foundational truth, there are some that exalt it into an error to teach the church is Christ or equal to Christ. Mathematically speaking they would say “Church = Christ”. They conclude this from reading verses like Colossians 1:18 where Jesus is called the “head” and the church is labeled as His “body”. They then conclude we are Him here and now in the flesh and that is a partial truth. But,this is an example of someone falling into a ditch of extremism. Taking one truth and promoting it beyond what it actually says is a very dangerous approach to understanding the Bible. We are required to balance all of the scriptures on the subject in order to recognize a more balanced complete application of truth. Saying that the church is Christ is human logic that in effect places the church on the exact same level as Jesus himself. These types of people teach, if Christ has a bride, then we (the church) also have a bride. They in effect have concluded in error, that the church by being saved ha become the spiritual husband and the spiritual bridegroom, making us God or at least His equal. That belief is a ridiculous conclusion of erroneous Bible interpretation that was probably formed and based upon ignorance and wrong reasoning. I’ve actually heard some of these types of Bible teachers tell us that in Revelation 21:2 where God describes the New Jerusalem coming down from heaven, that this city called the New Jerusalem is the bride of the church. Many have also concluded that this city is the natural nation of Israel. This is just more examples of the wrong interpretations of the Word of God. They try to convince us that the Church is the husband (aka the body of Christ) and Israel is the bride of Christ. 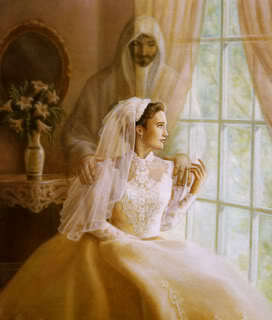 They say “After all if we are the body of Christ, then if Christ has a bride then we must also have a bride”. But, there are so many problems with that mistaken human reasoning and logic. The first being in Revelation it does not say this city New Jerusalem is the Bride of Christ, it says that she is the Lamb’s wife (Rev 21:9) and that is a completely different concept. I’ve never heard the church called the Lamb of God, have you? I’ve also never heard the church called the body of the Lamb either. Ask yourself that question, are you the Lamb of God? If you are not the Lamb of God, then you can not be the husband to this bride described in Revelation chapters 19-21. If you are not the lamb husband of the New Jerusalem, then you may have a major problem with the extreme interpretation of us being the body of Christ, but not the bride of Christ. I know the Bible is complicated, but we have to think and allow the Holy Spirit to speak, guide us and direct us into all truth in order to figure things out. We have to be smart enough to listen, hear and see exactly what God says and then not to be foolish enough to jump to the wrong conclusions using our limited knowledge and understanding. There is still this main unresolved issue, if the Church is the Body of Christ, how did it get to be the Body of Christ? I do not know of very many Bible teachers that are asking this question. Why not ask God to reveal it to you. Could it be that is why you came across this lesson? I’ve personally never heard any Bible teacher even try to teach this deep question. I could probably write an entire book on this subject, but I only have time in one lesson for a few words. There are other Bible lessons on this website that will provide more detailed information than can be provided today. Please understand that no teacher can teach everything they know in one lesson. I would heavily recommend that you go and read the Bible series called “The Bride of Christ Revealed”. This series provides a lot more scriptures that prove the bride is the church. That was the bottom line revelation that the LORD provided to me and He backed it up with overwhelming Bible evidence. I will go over some of that information in this lesson briefly. In other words Adam was literally saying to us, “she was his body” or personal “she is my body”. Uh oh again! Does this sound familiar? What mystery are we trying to solve? Do you understand this? Is this too complex or maybe too simple for us to believe? Is it possible for God to make a complete woman from just a part of a man? That is exactly what the Bible says happened so we have to decide if we want to believe it. According to God and the Bible, the woman’s body was “taken” from the body of Adam. Light bulbs should be beginning to be illuminated in our minds. We are asking God about how the Church became the body of Christ? Could Eve be a type of the church and could Adam be a type of Jesus Christ? There was a law of God established here in Genesis 2:24 concerning the subject of marriage covenants between a husband (a male) and his wife (a female). This law states that the wife’s body would be called the same as her husband’s body. Jesus confirm this truth in the Gospels also. You can read one example in Mark 10:7-8. Humans have long embraced and received this truth even in our human marriage ceremonies. The wife has normally taken the name of her husband. This literally makes her body called by his name signifying one flesh. Many in the modern world are attempting to move away from this practice but taking the husband’s name is very Biblical in my opinion. In fact you can read in Revelation chapters 2 and 3 where Jesus addresses letters to the church that He will give them a new name if they overcome. We can clearly see from this the inference of a marriage covenant between Jesus and the Church. What we discover from this law of covenant marriage is God’s mathematical principal that declares two are to be called and named as one. Wow, Genesis 2:24 is totally amazing to me. Two separate and distinct human bodies being called one body. One male multiplied by one female equals one unified covenant body. This is definitely God’s designed mathematical law of marriage (1 x 1 = 1). This verse in Genesis 2:24 says that they are separate yet still considered one flesh! Wow again and again, that is just so awesome to me. What is a body made of? The human body is largely comprised of flesh and bone. So if the Church is the body of Christ, we are His flesh and His bones here on the earth and this implies by this stated law that we must be His wife simultaneously. I’ll talk about that more in a bit. Adam is clearly stated to be a pattern or type of the coming Jesus. The Greek word translated as figure means “a die as struck”. If you understand printing press concepts this is what God is saying in this verse. Whenever you use a die to strike a piece of paper the same image is repeated consistently. God is trying to teach us that Adam was the pattern for what Jesus will do when He comes to the earth. 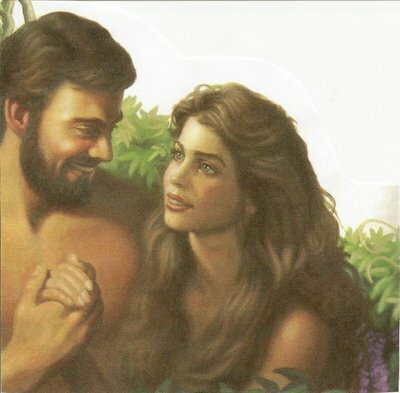 Since God takes and gives Adam a wife as one of the first or techinically His last works of creation, this is what will occur again with Jesus Christ and His wife. This is exactly how the church became the body of Christ, it was performed by God through a covenant marriage. Did you know that a covenat was a marriage in the eyes of God? You can find this by reading in Malachi 2:14 and Jeremiah 31:32. God when He implemented a New Covenant through Jesus Christ, He established a new marriage and calls the church His wife and His bride. We can clearly see that because of the Genesis law of marriage since the church is called the wife of Christ we would also be called the body of Christ. It is really not that complicated, but it was a hidden mystery of the Word of God. There are numerous scriptures that verify this relationship and we can look at a couple of them. The church is said to be one Spirit with Christ and this is the natural Genesis 2 covenant marriage terminology revealed in a spiritual format. This verse in direct context is specifically talking about a husband and a wife relationship. The same terminology of the marriage covenant is being conveyed with the terms “joined” and “one” that we saw in Genesis 2. This verse is clearly speaking to the church and says that we being joined to the Lord are now one spirit with Him. If we are one spirit with Christ this informs us that we are also the body of Christ. In Genesis 2:24 that verse used the word “cleave” but if you study it out you will find that this is the same word and means the same thing as to be joined. It literally means to “glue together”. God is revealing that He will take two separate pieces and super glue them to make one new even stronger unit. That is a clear definition of a marriage and a good covenant relationship between a husband and a wife. 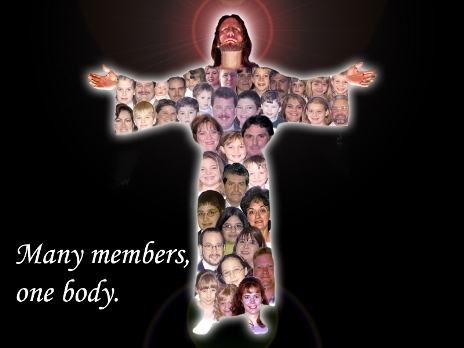 Ephesians 5:30 For we (the church) are members of his body (Jesus Christ), of his flesh and his bones. Ephesians 5:31 For this cause shall a man (Christ Jesus) leave his father (God the Father) and his mother (Israel/Mary), and shall be joined unto his wife (the church) and they two shall be one flesh (One Body). 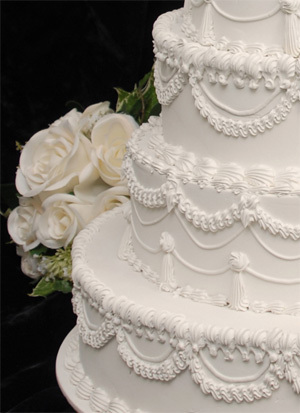 So we finally we can taste the icing on the wedding cake in Ephesians 5:32. God declares this information given in this chapter to be a great mystery. What is a mystery? A mystery is something that was hidden from our plain sight and from many who still haven’t seen it. It is a puzzle that had to be figured out or solved with God’s help. Praise the LORD! That is what a mystery is, something that is confusing to many people on the surface only reading until we dig deep and learn the real truth with God’s help. That was the mystery of God that was revealed to us today. God finally tells us clearly that all of this talk about husbands and wives in Ephesians 5, is speaking of Christ and the church. So if any one asks you how the church became the body of Christ you can now tell them exactly how it happened; it was by a New Covenant of marriage. Thank you for studying the Bible with me and if this has been a blessing to you, then share it with someone else that you know to bless them with the same knowledge of the truth of God. If you would like to continue learning more about the subject of the Bride of Christ being the church you can continue reading in this series with “Part 1“. Posted on November 18, 2009, in The Church and tagged Bible, Christianity, Church, God, Interpretation, Jesus, man, marriage, Religion, Revelation, Truth, understanding, woman. Bookmark the permalink. 7 Comments. May the grace of God be with you. I just wanted to bring to your attention, as I was reading: How Did The Church Become The Body Of Christ? You quoted a verse in Revelation 20:2 to read as: (The New Jerusalem coming down from Heaven) Correct verse is Revelation 21:2. (Error Just below the drawing Christ is the Head). May you have a blessed evening. You haven’t said whether you disagree with me or you just need more proof. My hermenuetic is substantiated by the imagery we find in Yesha’yahu (Isaiah)66:7-10, 26:17 and Micah4:10. These passages indicate that the woman in Rev12 is most likely, Israel…and not Miryam (Mary). Just FYI, I posted my first blog on the identity of the woman in Rev 12. This is just the beginning of some of the things that God has taught me and I know it will be new and different from anything that you have heard before. I truly pray that you have an open mind and heart enough to receive it. In Rev12:4 we see a great dragon about to devour a son, (Jesus), being born of a woman. That woman is Israel; figuratively, Jesus’ Mother. Therefore, Jesus has not left His Mother to be joined into His wife, the Gentile Church. The “Body of Messiah includes all Believers, Jew and Gentile, who have a circumcised heart. First let me say thanks for reading my blog. I would be very interested to hear why you think these things. Why is the child in Rev 12, Jesus? Why is the woman in Revelation 12 Israel? I’ve heard ministers teach this, but they never give any scriptures to back it up. They just say this how it is and I don’t believe things just because some one says it. I have to have specific Bible verses. So how did we arrive at this? Maybe you can help us figure this out.